Hindu marriage ceremony or Muslim marriage ceremony ? Will the child be Hindu or Muslim ? Bhaiyya, shubh shubh boliye. Abhi abhi shaadi kee in donon ne. Aur aap unhe homos kahne lage? Elaborate kindly for uninformed among us ... thanks. Woman isn't given a choice ... she must have ... no options ... think so. Sonia + rep coming your way. Had to edit the first post as the front page was getting crowded,took the second picture from the eleventh post and shifted images from the first post to the second post. 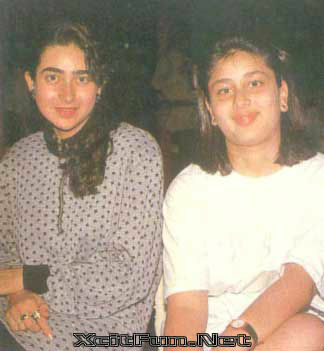 Here is Kareena's pic in case you are getting confused. Yes and the sisters looked like this.